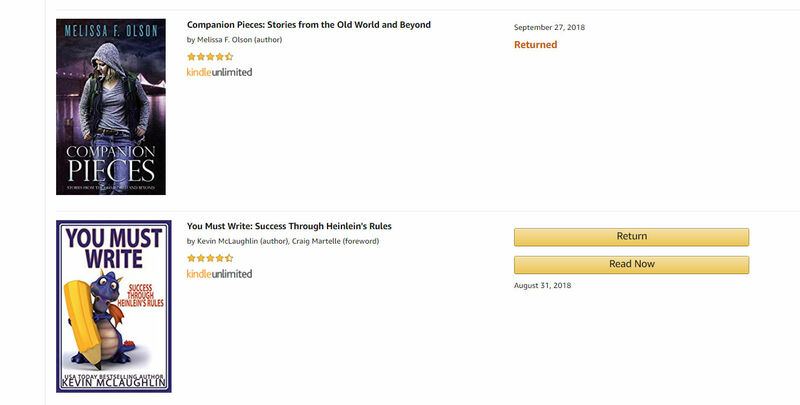 In early December this year, I wrote about the fact that Amazon had removed the ability to give gift subscriptions to its all-you-can-eat style subscription service, Kindle Unlimited.Those of us who liked to give (or get) subscriptions to the service were more than a little upset by the move. 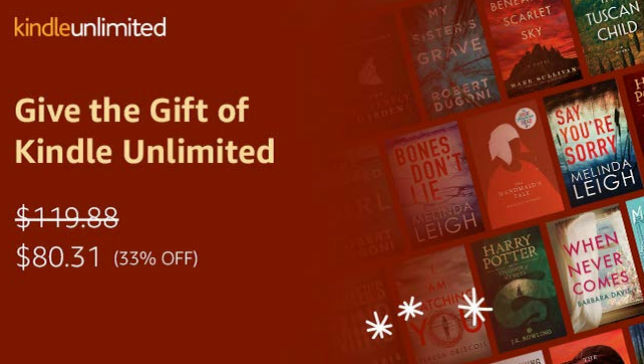 I don’t know if it is because Amazon listened to those who complained, but there is now a special gift page for Kindle Unlimited. You can only buy the gift for a period of one year (formerly, you had your choice of 3, 6, 12 and 24 month subscriptions) The price, normally $119.88 is $80.31, a savings of 33% off the regular 12 month price. There is no indication yet whether this is a permanent promotion or simply one geared towards Christmas and Holiday gift giving. I, for one, am taking advantage of it while I can. Unfortunately, my former 12 month subscription expired in mid-December and had already renewed for one month. 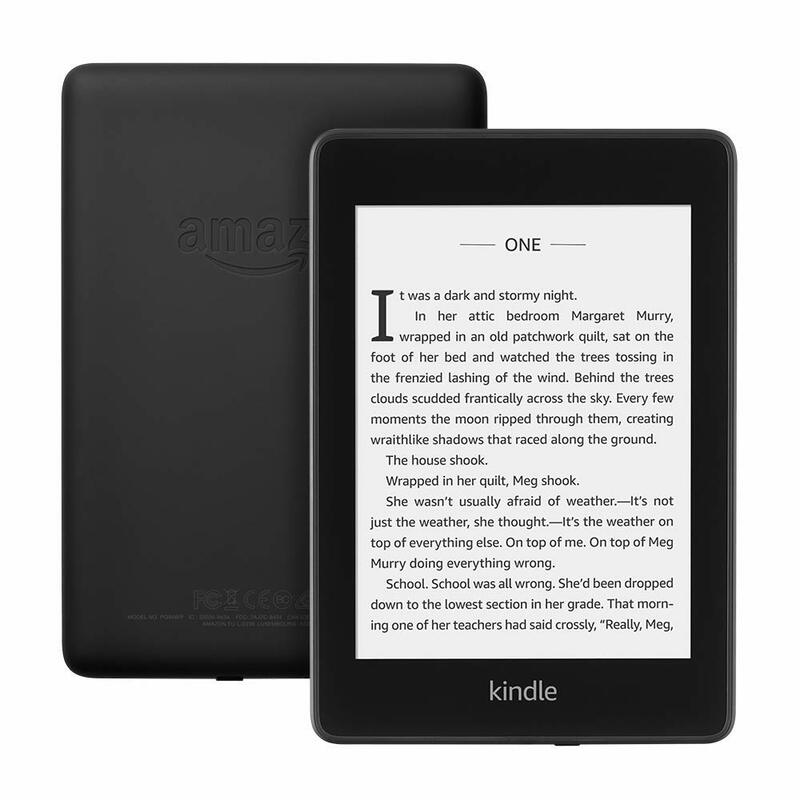 Kindle Unlimited features unlimited access to over a million titles, and includes audiobooks. Kindle Unlimited books can be read on any Kindle device, including apps, ereaders and tablets. Update. The links are somewhat wonky. If you are having a hard time finding the correct link for gift subscriptions, try the KU help page here. 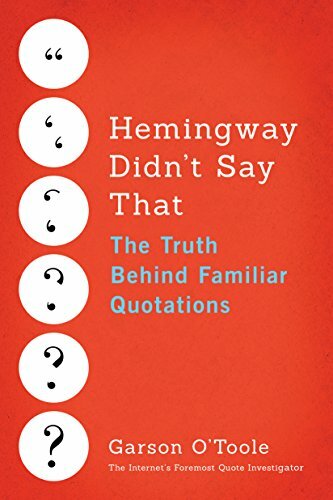 Previously, Amazon would allow you to download a second upcoming title for only $1.99. 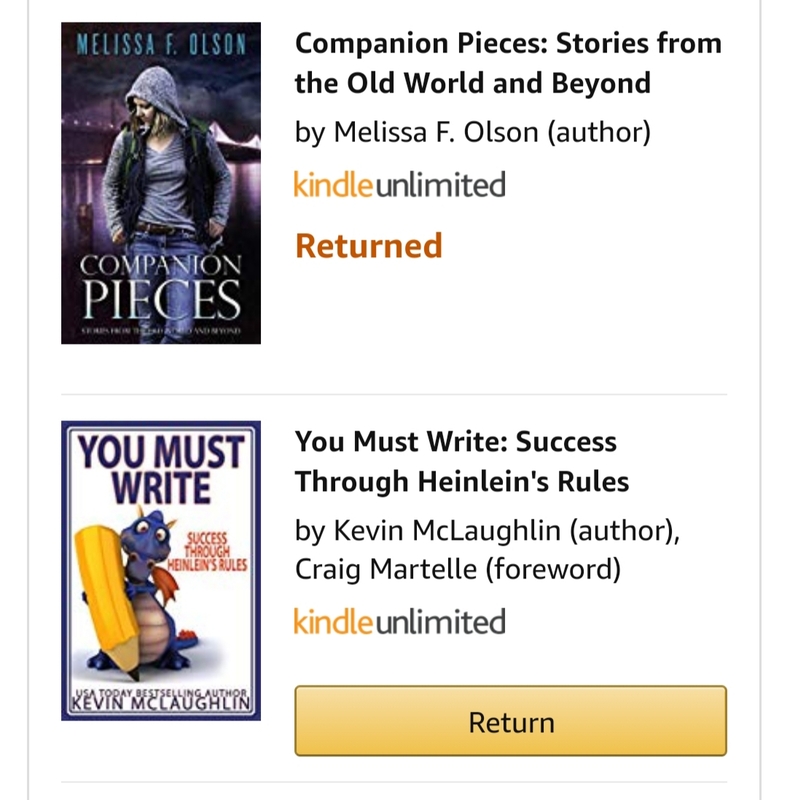 While that offer is no longer available, if you are a Kindle Unlimited subscriber, all of these books will be available to read for free when they are released on April 1, 2017 as part of your Kindle Unlimited subscription. 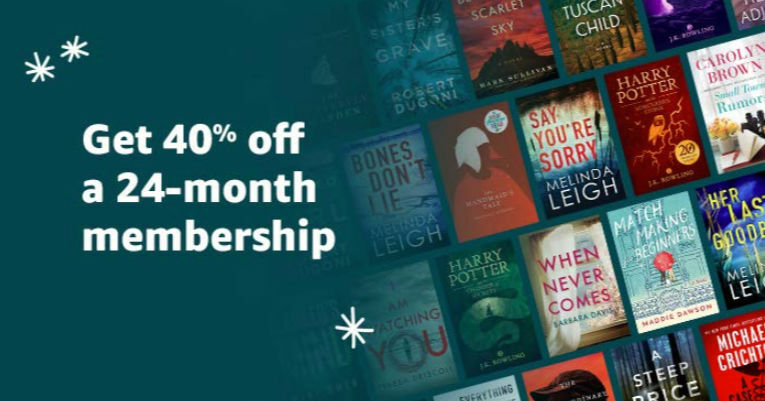 Prime members can also sign up to receive a monthly e-mail announcing new Kindle First picks.